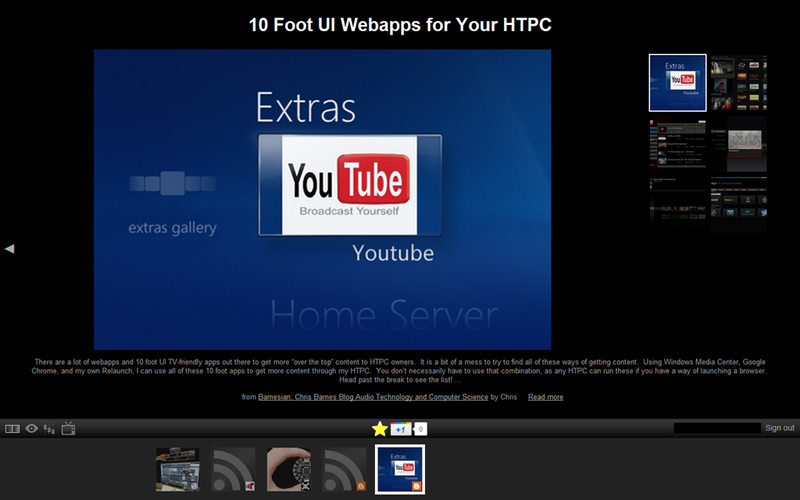 There are a lot of webapps and 10 foot UI TV-friendly apps out there to get more “over the top” content to HTPC owners. It is a bit of a mess to try to find all of these ways of getting content. Using Windows Media Center, Google Chrome, and my own Relaunch, I can use all of these 10 foot apps to get more content through my HTPC. 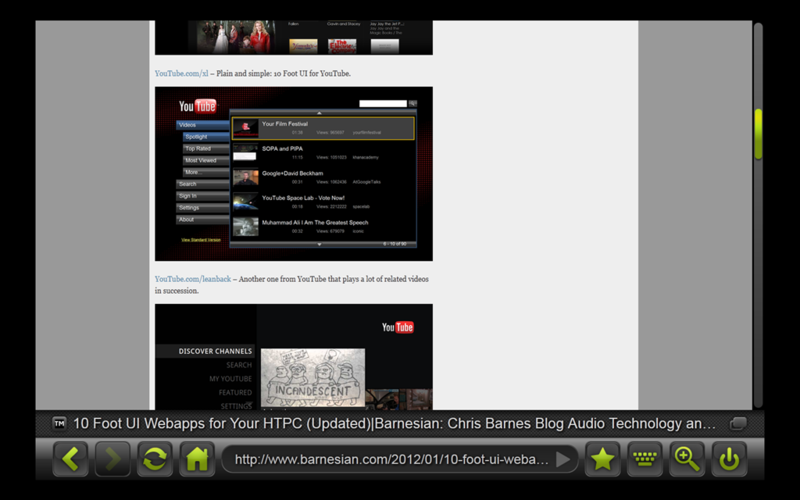 You don’t necessarily have to use that combination, as any HTPC can run these if you have a way of launching a browser. 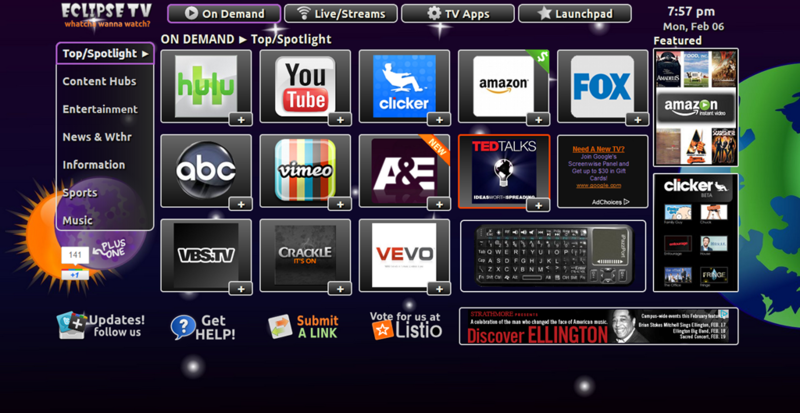 Clicker.tv – This is an aggregator app with sources from Amazon, iTunes, Netflix, Comcast, and Hulu. 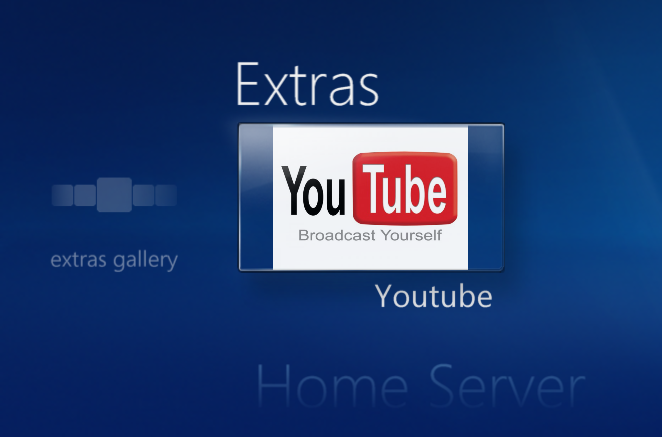 YouTube.com/xl – Plain and simple: 10 Foot UI for YouTube. YouTubeXL has been discontinued. 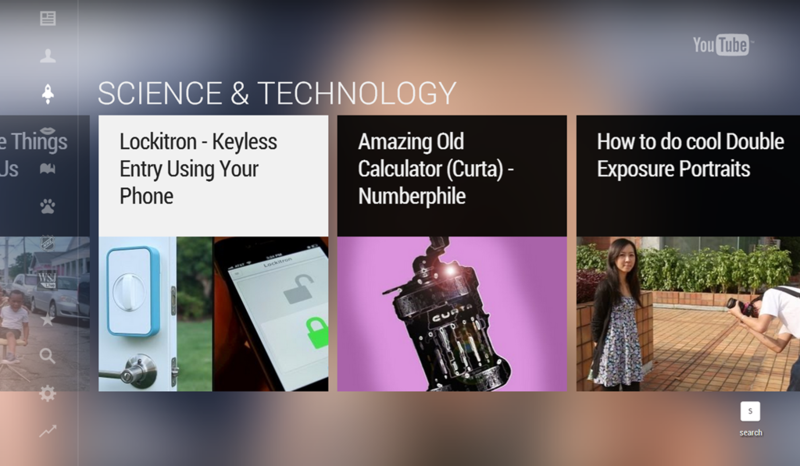 YouTube.com/leanback – Another one from YouTube that plays a lot of related videos in succession. 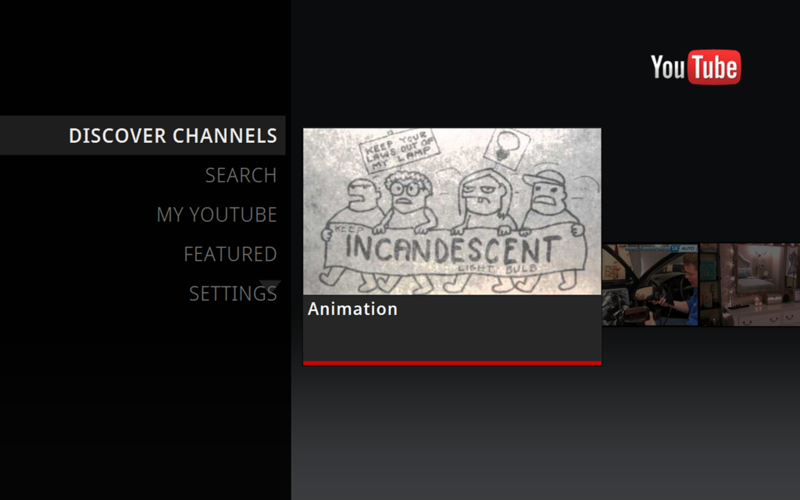 YouTube.com/tv – Yet another option from YouTube. This seems to be the best of the lot for the moment. You have to use their new pairing procedure to login. You can also control it from a mobile device! 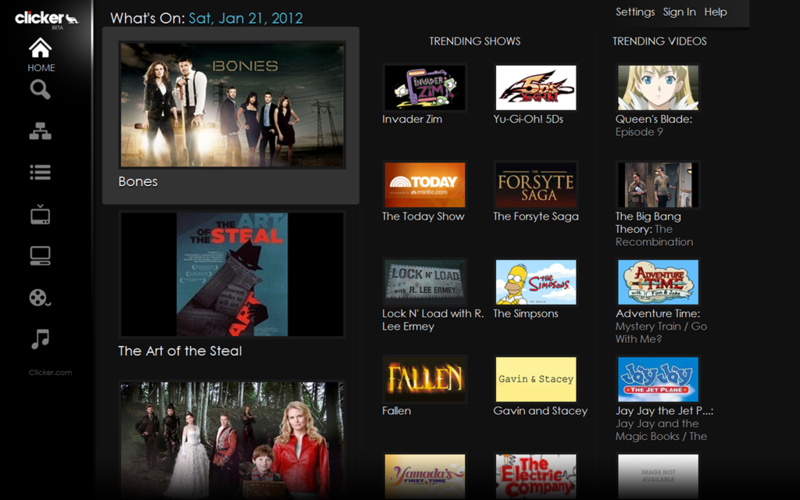 Hulu Desktop – While not strictly a web app, it is a 10 UI application that gets you access to Hulu’s catalogue. 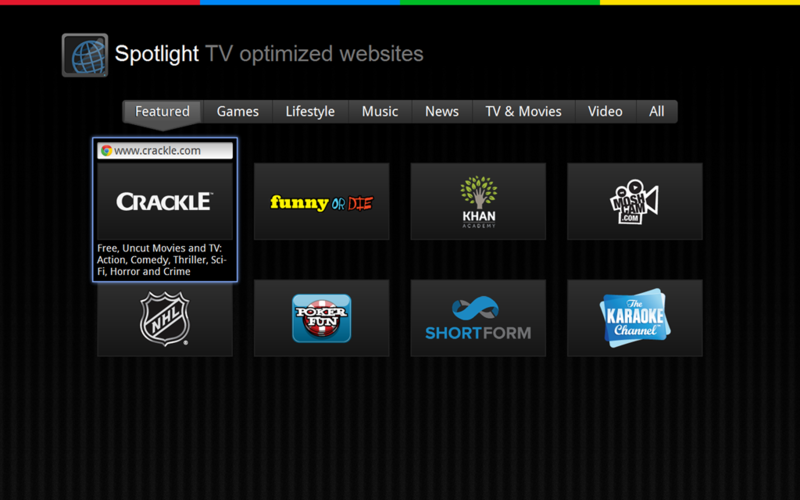 Google TV Spotlight Apps – This one is a meta app of sorts. It has Crackle, adult swim and clicker.tv links, among many others. 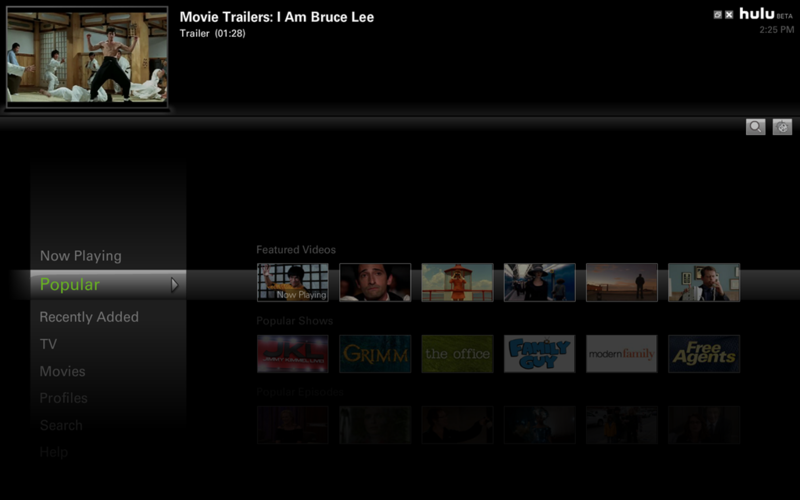 Those are all the HTPC-friendly content sources that I know of. If you have any more, leave a comment! Vimeo Couch Mode – Another leanback interface for Vimeo. Thanks @TaylorPhone! If you know of any others leave a comment! Excellent! Updated. Kylo is a great one. 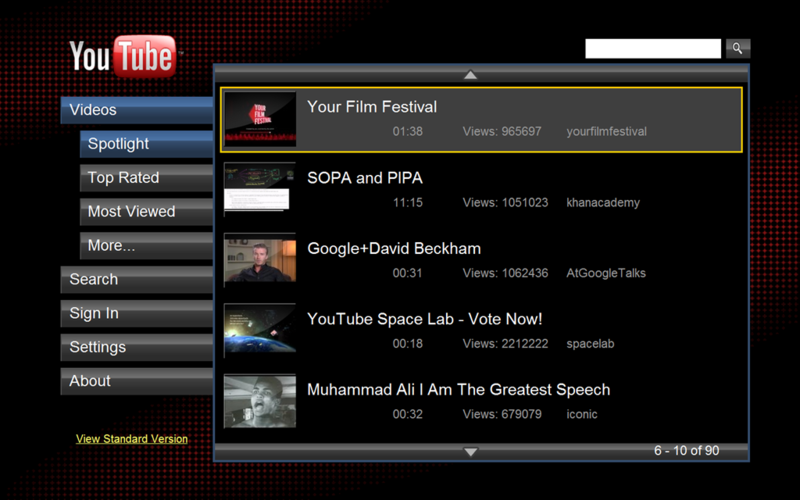 Vimeo Couch mode, and Google Reader Play, just off the top of my head!